Looking for an efficient way to monitor someone’s WhatsApp? Well, there’s a way that can help you control one’s Whatsapp activities from their phone. It’s none other than Spymaster Pro that is a phone monitoring solution used by millions of people across the world. Using this influential application, you can easily monitor anyone’s Whatsapp account and that too without touching their phone. Visit Spymaster Pro website and click on the buy now button to purchase the software. Choose the desired package you want to buy and proceed to checkout. Next, you will get a confirmation email on the mail id provided by you and will consist of a link containing your login id details. Use this login credentials to log into your account and check out the instructions mentioning how to install spy software in Android phone. In case of an iPhone, no need to install the software, instead you need to just verify the iCloud credentials of the iPhone that is to be monitored. Once done, you can easily access and monitor WhatsApp on your own Spymaster Pro’s control panel. Isn’t that the simplest way of tracing someone’s Whatsapp account and messages? If in case, you have any problem regarding installation, feel free to contact our customer support experts at support@spymasterpro.com. 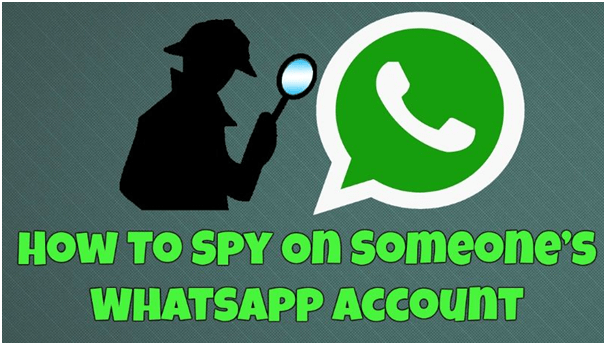 Also check our next post to spy Whatsapp messages on Android and iPhone! Click Here to know!